Other notable moments from the evening included an appearance from former First Lady Michelle Obama, a Dolly Parton tribute and K-Pop sensation BTS's Grammys debut. The 61st Grammys aired Sunday evening, handing out awards to the best of the best in the music industry. Seattle-area based artists Brandi Carlile, Chris Cornell and the Seattle Symphony all went home with awards at the end of the night. Naturally this was one of the most talked about events online, so here are some of the best Twitter reactions to the Grammys. Brandi Carlile got hometown shout outs from King County Executive Director Dow Constantine and Seattle Mayor Jenny Durkan. That @brandicarlile performance was epic. Former First Lady Michelle Obama made an appearance at the beginning of the show, bringing the crowd to their feet, as she spoke about the power of music and women. 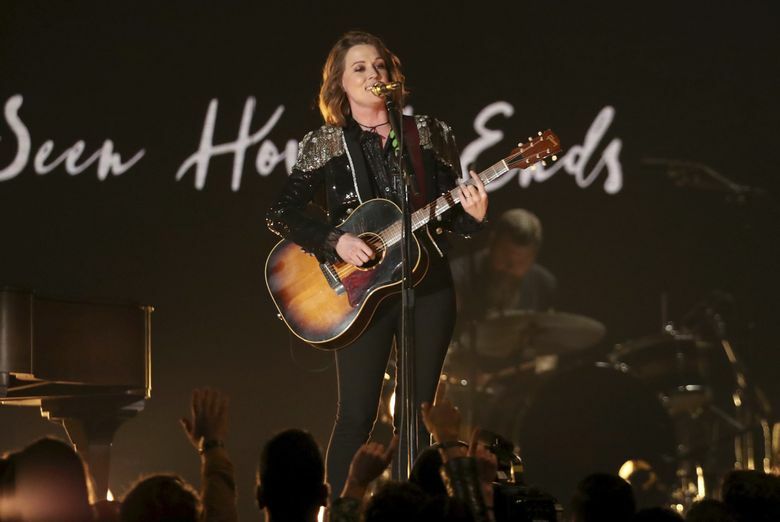 Artists including Miley Cyrus, Kacey Musgraves and Maren Morris performed together to honor country superstar Dolly Parton. Global phenomenon BTS made history as the first K-Pop band to present an award at the Grammys. Diana Ross brought the house down with a powerful performance in honor of her 75th birthday this year. Cardi B became the first solo woman to win Best Rap Album.